Limb apraxia (also referred to as dyspraxia) refers to difficulty producing movements with the fingers, arms, or legs on command. Limb apraxia may preclude the use of sign language as a form of augmentative communication. Non-verbal oral apraxia refers to difficulty producing oral-motor movements on command (in the absence of speech). Verbal apraxia refers to difficulty coordinating and sequencing the oral-motor movements necessary to produce speech on command. The terms apraxia and dyspraxia are not interchangeable terms in the United States. Dyspraxia, or limb apraxia, has its own ICD-10 code and it is typically diagnosed by a physical or occupational therapist. 3. CAS can be difficult to diagnose, especially in very young children. There is a misconception among many SLPs that CAS cannot be diagnosed until age three. While the 2- to 3-year age range can be the most challenging, there is no definitive age when a firm diagnosis can be given. Rather, the child must be verbal enough to participate in the assessment by producing utterances that vary in length and phonetic complexity. In minimally verbal children who present with characteristics of CAS but are not verbal enough to make a firm diagnosis, the SLP can use a working diagnosis of suspected childhood apraxia of speech, or sCAS. 4. There are three known etiologies of CAS. CAS can occur as a result of a neurological impairment (i.e. stroke, traumatic brain injury, infection). There will usually be positive findings on brain MRI scans. CAS can occur as a result of a complex neurobehavioral disorder (genetic, metabolic, mitochondrial). This includes CAS that occurs as a result of autism, fragile X, galactosemia, some forms of epilepsy, and chromosome duplications and deletions. CAS can occur as an idiopathic (unknown origin) speech sound disorder. This means that there is no evidence of neurological impairment and no presence of a complex neurobehavioral disorder. In the past, verbal apraxia in children was referred to as developmental apraxia of speech (DAS), however, this term indicates that children may be able to “outgrow” the symptoms, and that is not accurate. Therefore, the term developmental apraxia is no longer used. CAS is the preferred term for verbal apraxia in children, regardless of the etiology. 5. “Pure” CAS is rare. Most often, CAS co-occurs with oral apraxia, limb apraxia, other speech-language struggles, cognitive challenges, and/or sensory issues. Some of the comorbid language struggles may not become apparent until the child enters kindergarten, when the language processing demands and academic expectations are intensified. 6. Apraxia is a motor-planning disorder that is NOT associated with weakness. If the child presents with oral weakness, drools, and his speech is distorted or slurred, then the other motor-speech disorder, known as dysarthria, should be considered. If CAS and dysarthria co-occur, it is up to the SLP to determine whether the unintelligible speech is primarily due to difficulty with coarticulatory transitions between sounds and syllables (CAS) or primarily due to oral-motor weakness (dysarthria). 7. CAS is a speech sound disorder, and thus it is diagnosed by a speech-language pathologist. It may be appropriate for the SLP to refer to a neurologist or a developmental pediatrician to assist with determining the etiology (neurological impairment, neurobehavioral disorder, or idiopathic), but the SLP is the professional most qualified to make the CAS diagnosis. Doctors, psychologists and other professionals may be aware of some of the key characteristics of CAS, but the SLP is the only specialist who is qualified to differentially diagnose CAS from an articulation disorder, dysarthria, phonological impairment, or speech delay. 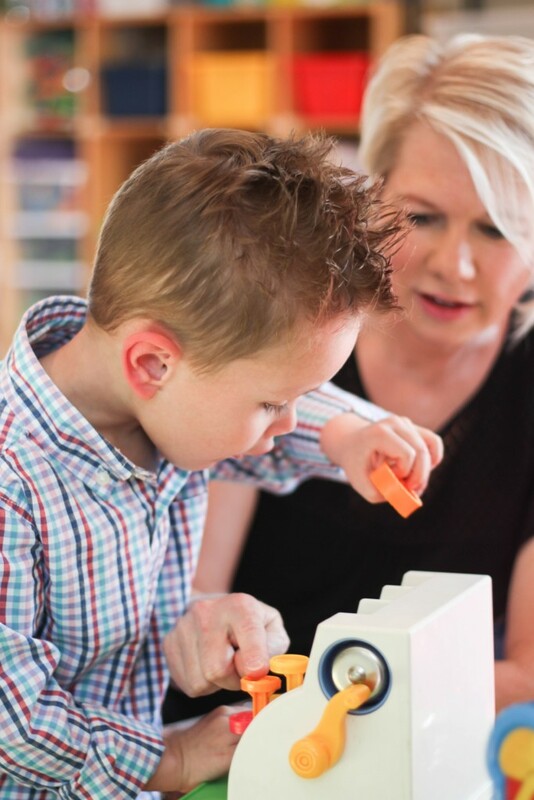 If the SLP is unsure whether the child has CAS, there are two options: 1) refer to an SLP who specializes in CAS or 2) utilize a working diagnosis of suspected CAS until the differential diagnosis can be made. 8. Treatment for CAS should be based on the principles of motor learning. According to Maas et. al (2008), motor learning is facilitated by 1) structure of practice, 2) stimulus selection, and 3) nature of feedback. Therapy goals should be written to increase the flexibility and reliability of the child’s motor speech system with an emphasis on coarticulatory transitions between sounds and syllables. 10. There are several online and print resources available for SLPs regarding assessing and treating CAS. ASHA’s 84-page Technical Report on Childhood Apraxia. (ASHA is the governing body of speech-language pathologists and their position is that verbal apraxia can occur in children and it is diagnosed by the SLP as childhood apraxia of speech.) The Technical report can be found at www.asha.org/policy/TR20007-00278/. Apraxia Kids (previously called The Childhood Apraxia of Speech Association of North America/CASANA). Their website is www.apraxia-kids.org and they provide invaluable information and resources for therapists and parents alike. The SLP’s Guide to Treating Childhood Apraxia of Speech is a recent publication co-authored by two apraxia specialists Dave Hammer, MA, CCC-SLP and Cari Ebert, MS, CCC-SLP (that’s me!). Their book is published by Speech Corner and is available at www.speechcorner.com or through the author’s website www.cariebertseminars.com. Here’s How to Treat Childhood Apraxia of Speech is a publication by Margaret Fish and it is available at www.pluralpublishing.com. About the author: Cari Ebert, MS, CCC-SLP is a pediatric speech-language pathologist in private practice in the Kansas City, Missouri area. She received her bachelor’s degree from the University of Iowa in 1993 and her master’s degree from the University of Southern Illinois in 1995. Cari specializes in early intervention and apraxia. She is a nationally recognized speaker and currently speaks for Summit Professional Education. Be sure to check out her new seminar, Innovative Therapy Solutions for Young Children with Apraxia. American Speech-Language-Hearing Association (2007). Childhood Apraxia of Speech (Technical Report). Available from www.asha.org/policy. Hammer, Dave & Ebert, Cari (2018). The SLP’s Guide to Treating Childhood Apraxia of Speech. Chandler, AZ: Speech Corner. Maas, Edwin et. al (2008). Principles of Motor Learning in Treatment of Motor Speech Disorders. American Journal of Speech-Language Pathology, 17(30, 277-298. Strand, E. & McCauley, R. (2008). Differential Diagnosis of Severe Speech Impairment in Young Children. The ASHA Leader, 13, 10-13.